Sara is Business Development Manager at Clearmatics, a technology company developing core blockchain infrastructure. Sara Feenan has hosted 22 Episodes. We. Are. Here. At Barclays Rise for the ION Hackathon. Clearmatics are doing a special bonus episode with us covering the day's events. 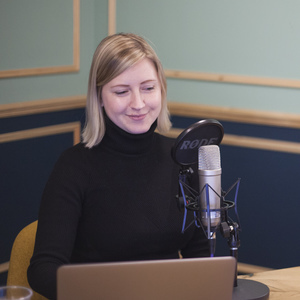 We've got a bumper pack of interviews for you including conversations with some of the hackathon teams, including some very youthful competitors. We. Are. Here. Today we bring you: Dormant funds, the SEC still won’t let crypto be and do you really need a blockchain? We. Are. Here. Today we bring you: ConstantiNOple, a look at if Bitcoin was manipulated and you can track your Cobalt on a Blockchain, who knew? We. Are. Here. Colin and Sara sit down with Anthony Macey, Teana Baker-Taylor and David Nicol to talk about the latest and greatest news in blockchain. We. Are. Here. Simon's joined by Sara to discuss the latest and greatest news in blockchain. We. Are. Here. Sara is joined by our great guests: Noelle Acheson, Vinay Gupta and Teana Baker-Taylor to discuss the latest and greatest news in blockchain. We. Are. Here. Simon and Sara are joined by our great guest Hugh Karp, to discuss the latest and greatest news in blockchain. 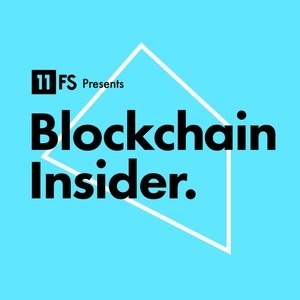 On this week's episode, Simon and Sara sit down with Teana Baker-Taylor, Michele Curtoni, and Alex Hern to talk about the latest news in blockchain. Ep. 54. Is Crypto Going Mainstream? Simon and Sara are joined by Noelle Acheson and Joon Ian Wong from Coindesk to talk about the latest and greatest blockchain news. Including a brilliant tweet of the week. Ep. 53. Is Anyone Doing Decentralisation Right? Sarah and Sara are joined by Maya Kumar from Luno to talk about the latest news in the blockchain world.